 Premzl A, Turk V, Kos J. Intracellular proteolytic activity of cathepsin B is associated with capillary‐like tube formation by endothelial cells in vitro[J]. 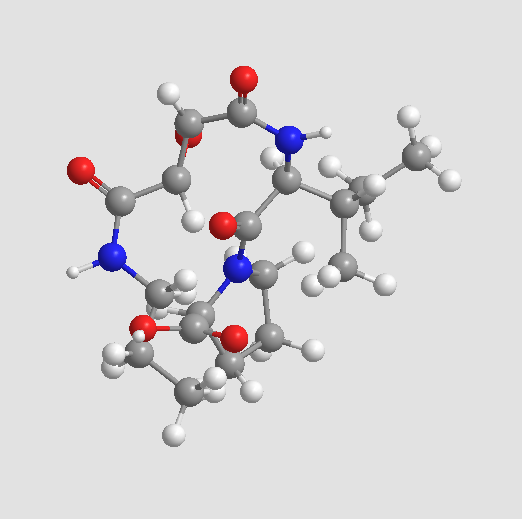 Journal of cellular biochemistry, 2006, 97(6): 1230-1240. Withana N P, Blum G, Sameni M, et al. 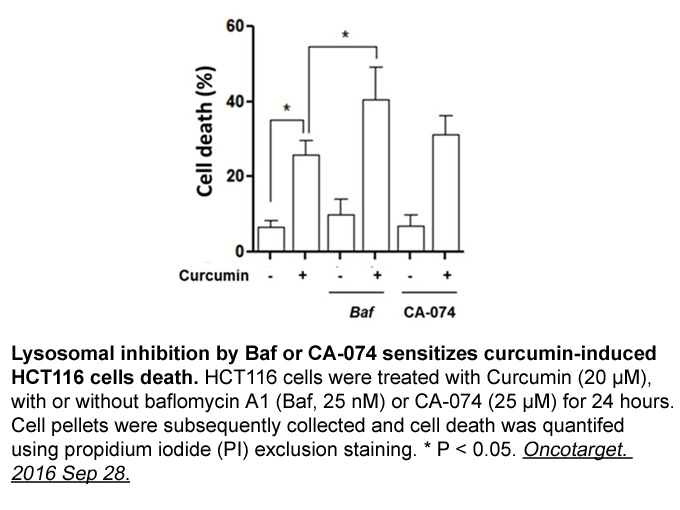 Cathepsin B inhibition limits bone metastasis in breast cancer[J]. Cancer research, 2012, 72(5): 1199-1209. 1. 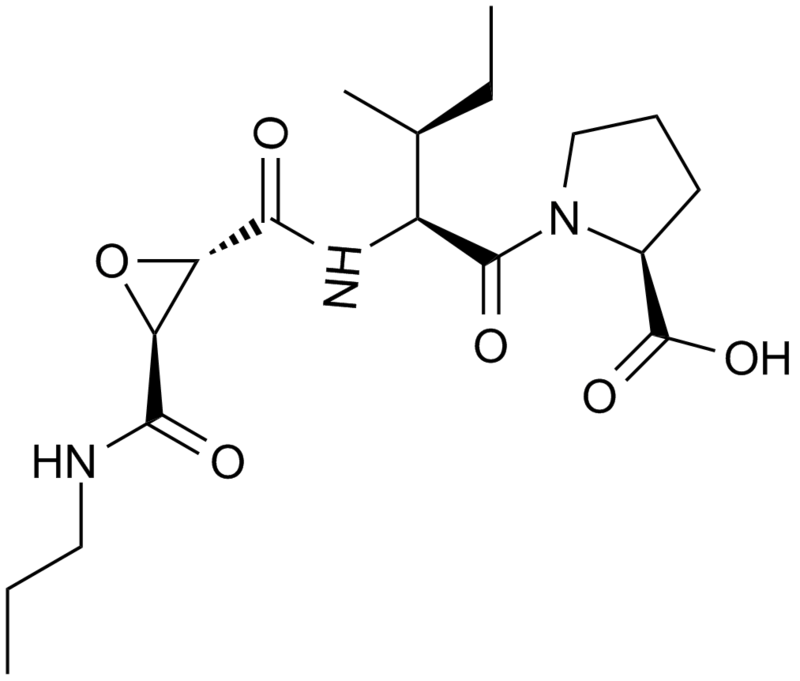 CA-074, but not its methyl ester CA-074Me, is a selective inhibitor of cathepsin B within living cells. Biol Chem. 2002 Jul-Aug;383(7-8):1305-8. 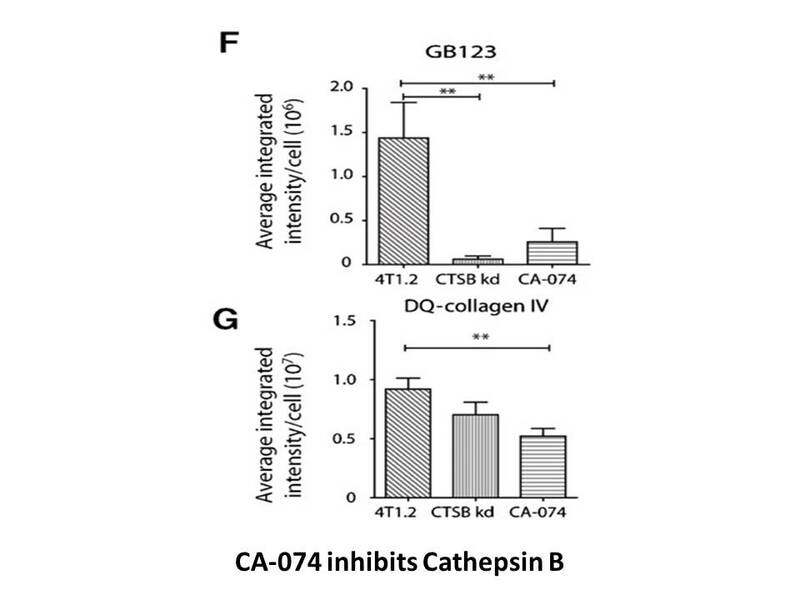 CA-074 is better-suited for cathepsin B specific inactivation in living cells, since it selectively inhibited cathepsin B leaving cathepsin L unaffected. 2. Inhibition of ischaemic hippocampal neuronal death in primates with cathepsin B inhibitor CA-074: a novel strategy for neuroprotection based on 'calpain-cathepsin hypothesis'. Eur J Neurosci. 1998 May;10(5):1723-33. 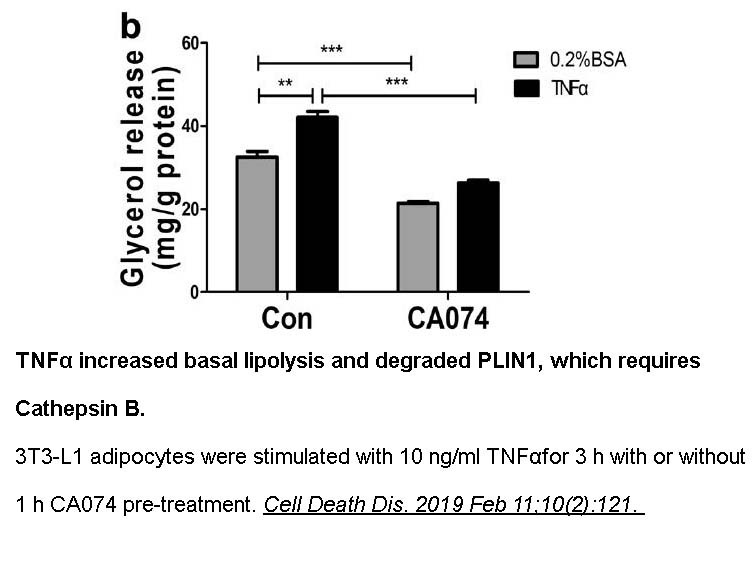 Intravenous administration of CA-074 exhibited excellent inhibition against cathepsin B and saved CA1 neurons from delayed neuronal death in monkeys undergoing a complete 20 min whole brain ischaemia. 3. 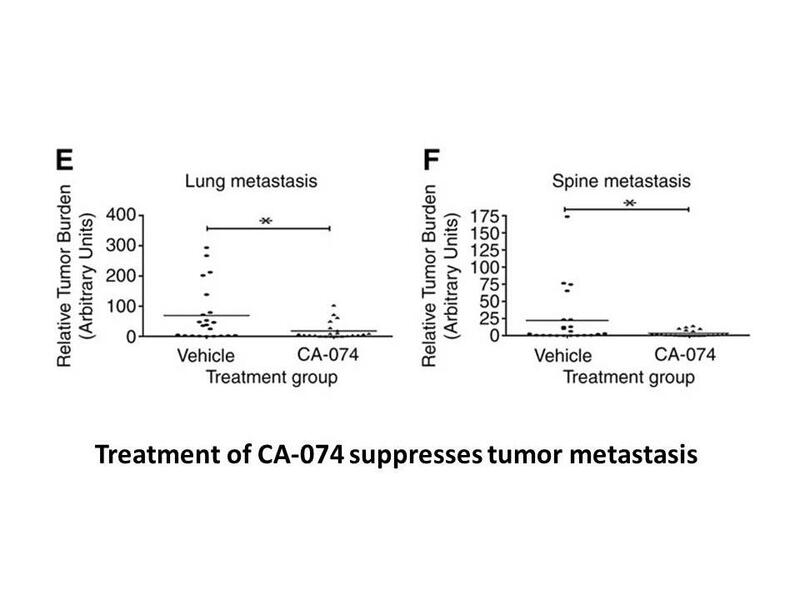 Assessment of cathepsin L activity by use of the inhibitor CA-074 compared to cathepsin B activity in human lung tumor tissue. Biol Chem Hoppe Seyler. 1995 Mar;376(3):157-64. 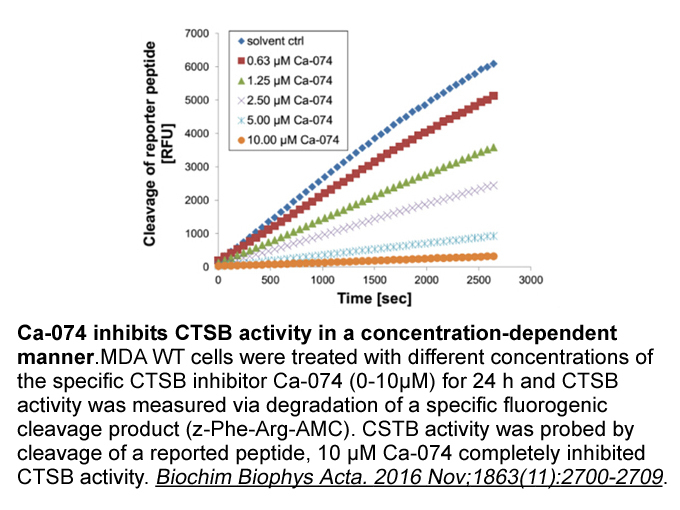 CA-074 was used to inhibit cathepsin B activity in order to measure cathepsin L activity in samples.